Help you see the (otherwise invisible) winds of change & opportunity trends coming for purposeful work & business? Know how, when & where to meet them. Understand & prepare for them (both the good & not s’good). Understand how to make the most of them – in your life, your work & your business, for your customers, clients or team. The whole love & collaboration thing you predicted on the last Soul Map™ LIVE? Went through the roof for me. Really fantastic. And what if I told you that tracking with me once a month (via Zoom Interactive WebTV + international call-in) could change things for you. BIG things. I was literally blown away by your last LIVE telecast. I’ve finally quelled the voice that’s full of excuses for why I can do what I want to do (YEAH!) and am way more focused and determine to get me and what I have to give & share out there thanks to you & LIVE. Remember The Insider and Soul Map™ LIVE from September? Both struck a cord so deep, so clear, so fast, something I’d been unable to move on for months suddenly shifted and I’ve been on fire & in aligned action ever since. Now, whenever I feel that same can’t-move ick start to creep in again, I pull both out & let them go to work for me again. And, And, what if I told you all this goodness was Free of Charge? 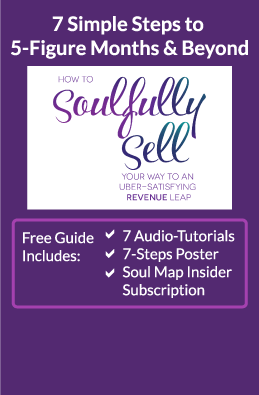 Just one thing: Soul Map™ LIVE is Invitation Only. Please Note: By submitting this form you are giving permission to TheSoulMap™ to record the call and share the recording with others. Psst… there’s an incredible community of amazing people waiting to welcome you, too (remember Cheers?). And who doesn’t want to put some Good Karma like that out into the world? And there’s another reason. I need to know if someone who claims to be able to do all this for fee actually has the chops, the heart & the integrity they say they do before I consider working with them. I believe we all deserve that & get too little of it. This is as good a way as any to help folks know I’m for real, and Soul Mapping is too.